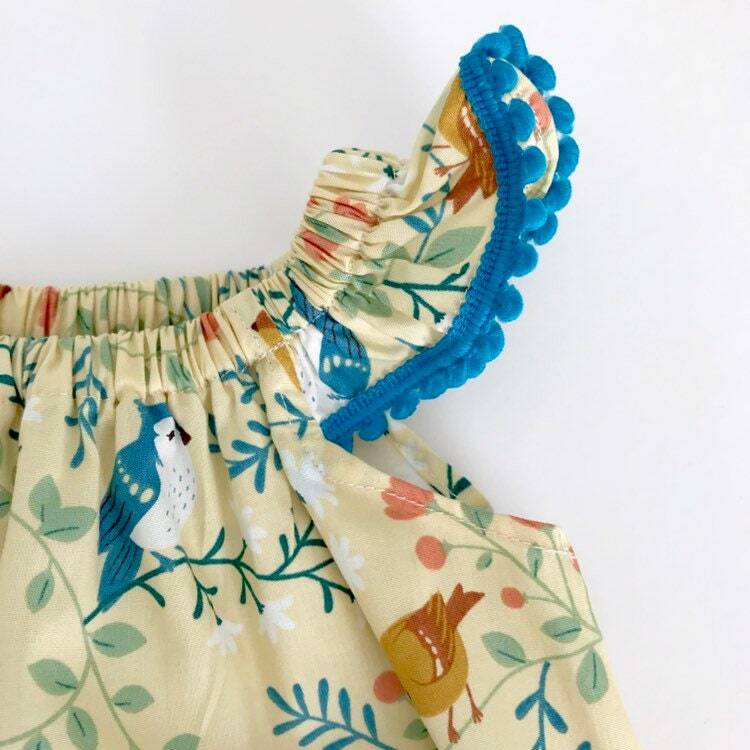 Eddie & Bee flutter sleeve romper in cream perching birds print organic cotton with teal Pom Pom trim. 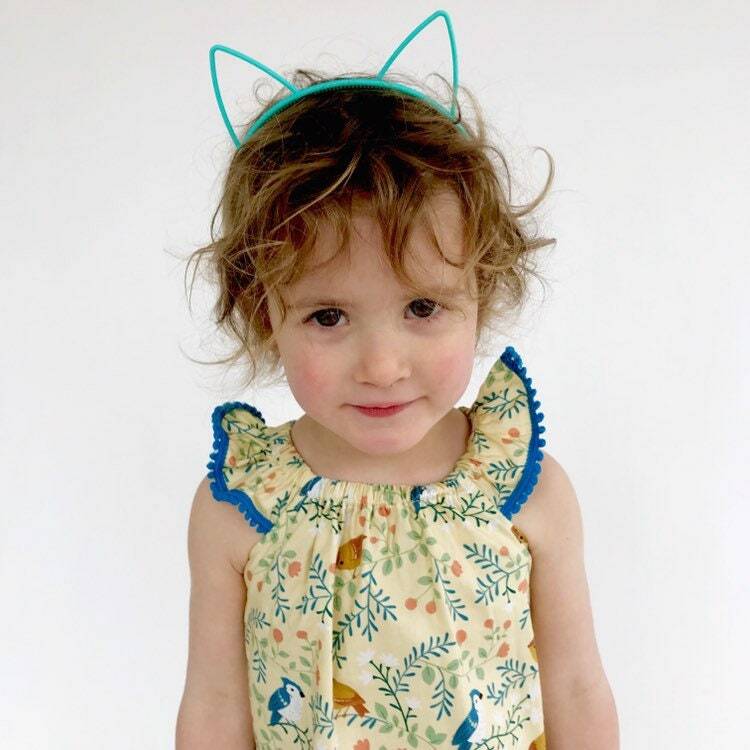 Eddie & Bee flutter sleeve romper in cream "perching birds" print organic cotton with teal Pom Pom trim. 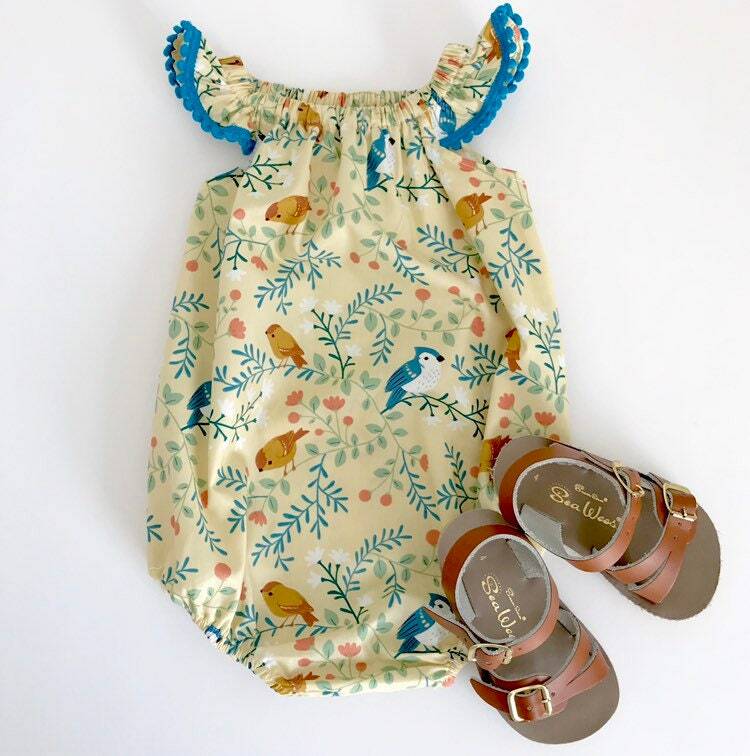 This Eddie & Bee romper is made of light cotton. It is a summer classic or can be paired with a pair of tights for cooler weather. 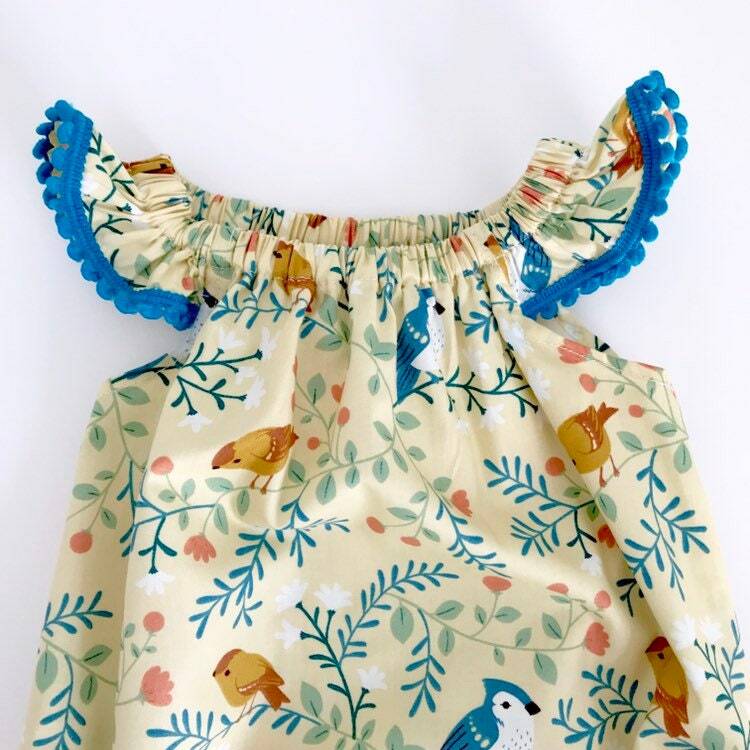 The design features a flutter sleeve, Pom Pom trim and snap closure at the crotch for easy nappy changes. All seams are either hidden or french seams, so there are no raw edges to scratch at little bodies. 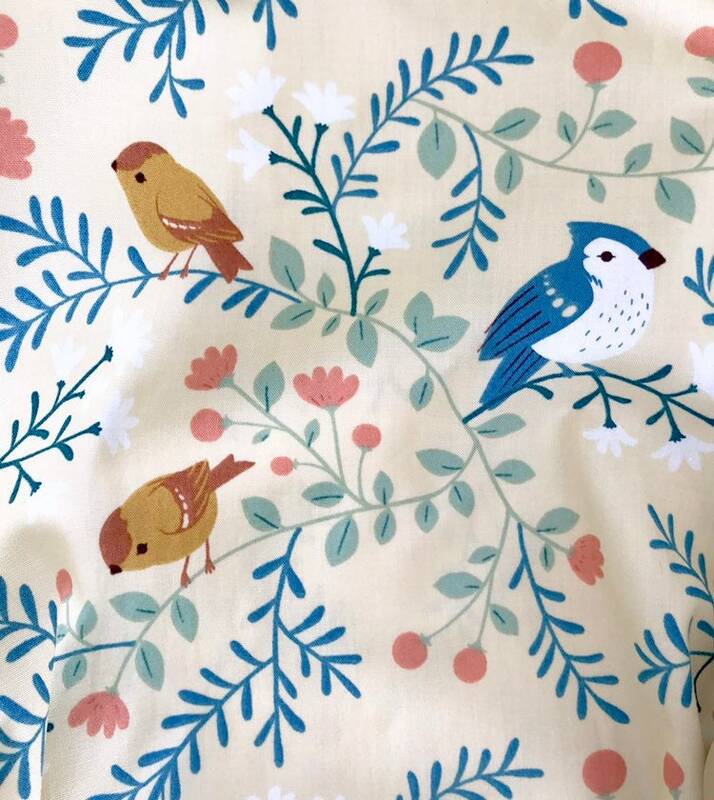 The fabric is cream "perching birds" print organic cotton with teal Pom Pom trim.